We are a highly interdisciplinary research group working at the intersection among cognitive, social and computational sciences. LABSS is based at the Institute of Cognitive Sciences and Technologies (ISTC) of the National Research Council of Italy (CNR) and aims to foster an explorative approach to Agent Based Modeling and Simulation. WIPS seminar: "Collective decisions with kids and robots"
On January 18th will continue the Work in Progress Seminars (WIPS) series, organized by the LABSS. Vito Trianni will be presenting. 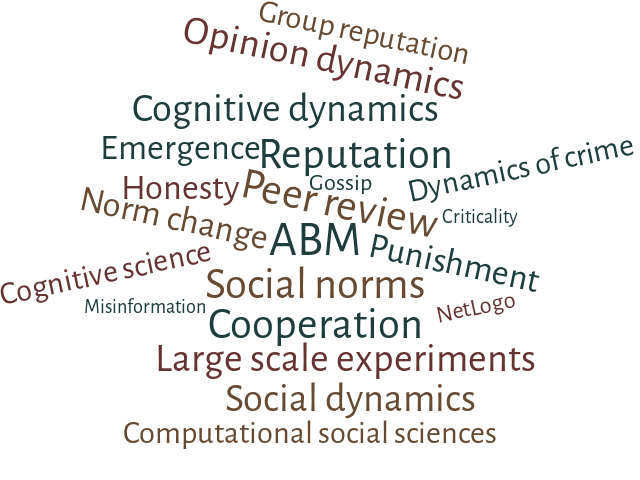 We’re glad to give notice of the publication of a new paper on Models of Social Influence: Towards the Next Frontiers by Andreas Flache , Michael Mäs , Thomas Feliciani , Edmund Chattoe-Brown , Guillaume Deffuant , Sylvie Huet and Jan Lorenz. The Institute of Cognitive Sciences and Technologies at the Italian National Research Council announces the opening of a postdoctoral position in Social and Cognitive Dynamics. The fellowship - funded by the Institute for Informatics and Telematics of the Italian National Research Council - is established to honour the memory of Rosaria Conte, Research Director and founder of the Laboratory of Agent Based Social Simulation at the Institute of Cognitive Sciences and Technologies in Rome, where the position will be housed. 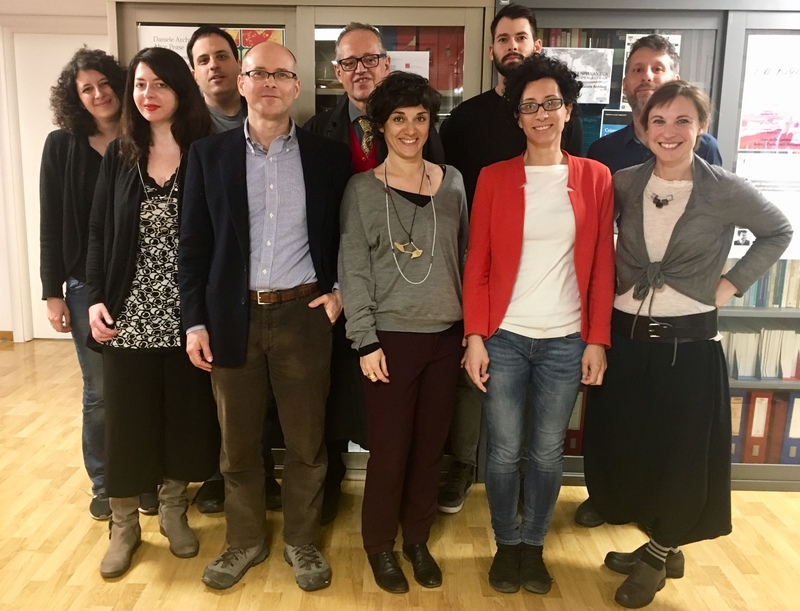 The partners of the European Project PROTON, including the LABSS, gathered for the First Consortium meeting at the Hebrew University of Jerusalem on October 16th and 17th. All partners participated to the sessions in order to present and discuss the preliminary findings of the research. The plenary meeting paved the way to a fruitful collaboration among the Consortium members during the next years of the project. On October 11th Wojtek Przepiorka of the Utrecht University will give a talk at the ISTC-CNR entitled “Emergence of latent norms in the repeated volunteer’s dilemma: the role of other-regarding preferences and learning”. An important milestone was reached by one of the articles co-authored by Giulia Andrighetto. The paper “Are Some Countries More Honest than Others? Evidence from a Tax Compliance Experiment in Sweden and Italy, published on the journal Frontiers in Psychology, exceeded 10.000 online views in one year and a half only.